Farm to People never stops gathering food items that hit our sweet spot. 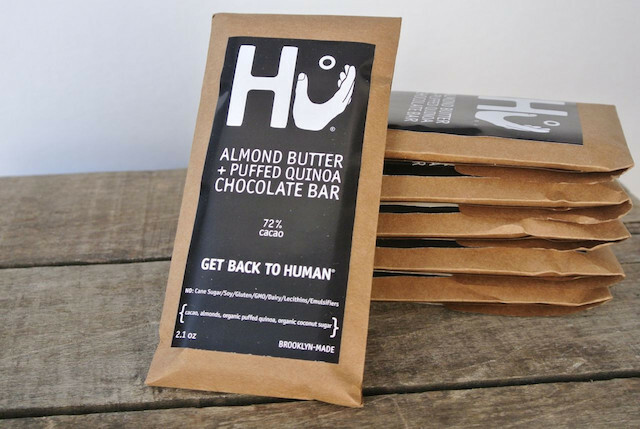 And Hu Kitchen’s Almond Butter & Puffed Quinoa Dark Chocolate Bar is no exception. At Hu Kitchen, every mouthful has been vetted to meet the highest standards, crafted and honed from the synthesis of everything learned about the benefits of pre-industrial diets. They started with the question, “how should humans eat?” The more they studied and experimented, the more they came to understand that “we are primitive bodies living in modern times, [and] that getting back to a pre-industrial way of eating was the best thing we could do for our health.” The sweetest part of the whole deal is that you can indulge in something that contains healthful ingredients. Hu’s Kitchen is creating food that is beneficial to humans and the environment. It’s primitive indulgence.